I plan to use the original keypad that is already on the machine just as if it were all back to original aside from a monitor to view. Can anyone recommend a strictly key mappable type jukebox software? Not a technician . . . . just a DIY'er. DOSCab/WinCab Jukebox is completely key-mappable and can adapt to several different control schemes. What model jukebox are you adapting? It's an AMI Disco 200. A friend of mine got a trade deal on three jukes, two just need minor repairs he plans to sell, this one is totally empty of it's inner workings so I'll get that one and help him fix the others. And I had already had my eye on it anyways for this sort of project. So it should work out good. (now that I get a chance to play with it) I haven't actually picked it up yet, so I'm not sure how many keys, etc it has just yet. And I'm not sure how I will do the monitor on it quite yet as I've only seen pictures of it so far. As much of it as possible will remain original. Thanks for the heads-up on the software. I'll go check those out and play around with them. I'll try not to disturb this particular thread with my project..... might start a new one somewhere, just needed suggestions on software and the lists in this thread were great but I needed that tid bit of clarification to try a couple out. EDIT: Started a new thread for the "project" aspect of all this. And I'm not sure how I will do the monitor on it quite yet as I've only seen pictures of it so far. As much of it as possible will remain original. About the only jukebox I've found that does what I want it to is The Jukebox'er, but it seems to be pretty memory intensive for an old 633mhz machine. If anyone has any suggestions, I'm all ears. This is now http://www.arcadejukebox.net/ . the one with the BIGGEST buttons, and does not require a keyboard. On that list his picture for PCJukebox is the image of Freebox running the fink diner skin. This is why I and Others created wiki jukebox list here on arcade controls. Trying to test and correct the entries on the wiki to accurate as possible. It also listed wich controls it most was suited for (I does have removed touch support in that wiki, since AMB example never was used great with it). Hope that wíki goes better for testing software and correct errors. PS. I have changed freebox skinsupport to "full" instead of "Any" wich was a error (Sorry Barcrest). Firstly apologies if I'm breaking any rules here. I freely own up that BoxEasy is my program but have been in communication with several forum members so please don't consider this spam! You need to already have the main version to set it up, as the kiosk version is purely designed for easy jukebox operation (e.g. TouchScreens from 800x600 up) and can't be used to add new albums etc (it simply uses the existing database from the main version). The kiosk version is also now part of the main download for any new users who want to try it out. Still early stages so any comments on are welcomed on the BoxEasy forum. And thanks to everyone here for a great forum - Adam. Now you can use buttons to controll freebox to a usable standard. You can pick an album and play a song off it just using buttons. You can also skip tracks, pause and controll the volume so it might be of some use to you guys that don't have touchscreens. Just thought i would give you the heads up. Just wanted to give a heads up about an update to eJukebox. In one of the above posts it says eJukebox requires winamp but as of 4.5 that is no longer the case. 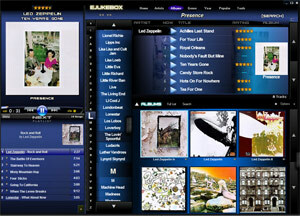 eJukebox will now work without winamp plus it comes with a new touchscreen friendly skin called 'EJ'. Just wanted to let everyone know that a new jukebox program called Nowtro Jukebox has been released. I have just released Third version of Arcade Music Box, wich is now called MultiJuke. It was developed from scratch (for third time). A new Jukebox program has been released - http://www.touchtrax.com/. This is from the author of The PC Jukebox. Good stuff! Will have to try out. Half of the people you meet are below average. So far it's got one of the more intuitive and logical touchscreen interfaces I've seen, but the "reflection" effect is a bit overdone, and there are some weird random crashes I'm getting on both of my test machines. Anyone wanting to try out a beta of Home JukeBox can download it from http://www.ziggyred.com/homejukebox/ . 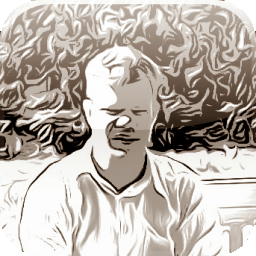 Developed from BoxEasy it's free whilst in Beta. Has many features including a CD ripper and a basic tag editor (unlike BoxEasy it arranges music according to tag info). I was looking around to see what was new, i found these. Don't think they are already listed, both are commercial but have trials availible. * Prices correct as of posting. It's free and designed for touchscreens. Who Ever Swallows The Most Tylenol PM Wins! Sounds like you are offering... To be honest it's quite a job. I tried to create and up todate list but to be honest the links would need to be checked weekly. Am I missing something what about Ultimate Jukebox It's not free but to me It is the best operating and best looking jukebox program out there. A list with that information is in the BYOAC Wiki at http://wiki.arcadecontrols.com/wiki/Jukebox_Software . http://wiki.arcadecontrols.com/wiki/Jukebox_Software this may help with some of the specs. compatabilities touchscreen/ rollerball/ mouse/ keyboard/ windows/ dos/ linux that sort of thing. I think I now have installed and tried every jukebox software possible for my touch screen setup. And after finding many cool ones and not so cool ones I was still not impressed. When I was about to give up I found this site www.zenpoint.com and downloaded the demo. OMG!!! Words cannot explain my thoughts about this software, simply clean and easy to use and I spoke with them and they said dual monitor support is coming soon and probably on the next update. I recommend everyone to give this a try, it plays movies, music, picture slideshow and even a clock which was pretty neat. Hope this helps anyone looking for something that is extrememly modern and fancy. I wonder if the poster above is shilling for the software he 'stumbled up on' ? Now Playing Using E-Touch Jukebox Software. I have nothing to do with Zenpoint software. I just like it compared to all the other toush screen softwares out there. To many of them look unprofessional to me. Album Player is another good one in my opinion. But still zenpoint has more features. I figured out today that you can add other applications to it, pretty much like adding shortcuts to load other programs. Might be useful, dont know yet. One more thing, if i was advertising my business on here it would be for vinyl graphics, because thats what I do. :edit.. Vrockola is pretty sweet too! Thanks JukeJunkie! Going to give that software a try today. Especially nice that its free, I still havent purchased zenpoint because i was waiting for dual monitor support. I'm trying out the ZenPoint DigitalCenter package. It's pretty nice. It would be great for a standard monitor aspect ratio. When you stretch it to fill the widescreen monitor that is my MSI touchscreen all-in-one unit, it stretches the album covers. But it's fast and nicely animated. I'm not a fan of internet radio, but they implemented that nicely in the program package, too. That Zenpoint software has a great interface though, i really like how they have implimented it. Page created in 0.274 seconds with 61 queries.